Before we start sewing, a little on wardrobe or "weekender" patterns: these patterns include not just variations on one outfit (so, a dress with slim or full skirt and a jacket with long or elbow-length sleeves), but a bunch of different, coordinating pieces meant to be mixed and matched into various outfits, say, over a weekend vacation. Sarai over at Colette Patterns posted a Summer Packing Made Easy tutorial of sorts back in august, and I think the fifties patterns have this sort of feel--you could make each piece from the pattern, throw it in your suitcase, and jet off somewhere warm. Sarai suggests you mix and match neutrals, but the lady above seems to have chosen red! There are a TON of them from the 60s (making me very happy). 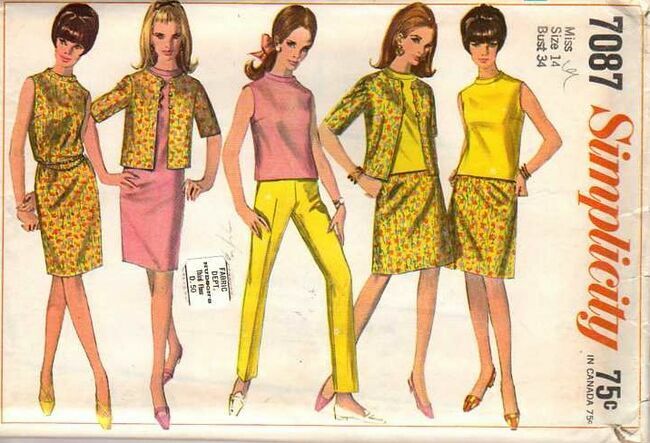 This one advertises that it is "Four-part Mix 'n Match Wardrobe... the Scrambled Look." 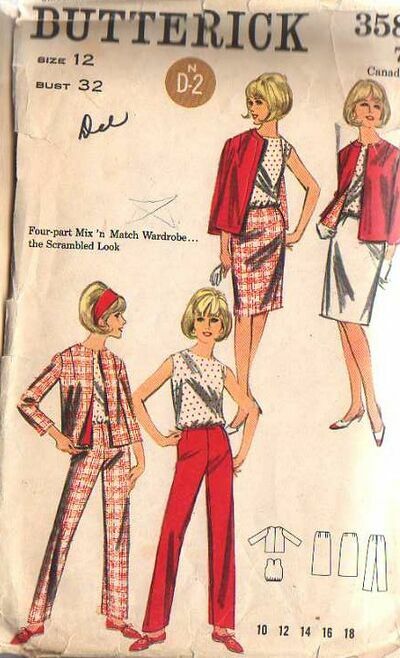 The patterns, while still casual, become more everyday wear, with pattern illustrations showing ladies' looks ranging from Laura Petrie-at-home to officewear. All the color-coordination is adorable, don't you think? It almost makes you want to wear only red plaid or yellow and pink floral coordinates forever, right? No? One perk of these mix and match wardrobe patterns (besides having that trendy "Scrambled Look," duh) is that you get a TON of pattern pieces for basically the same price as one pattern. Most of the ones I found on etsy are $8-$15, and you get 5-ish basic items (shorts/pants, jacket, skirt, top, dress). Of course, the items are simple--a basic shift, a boxy jacket--and without a lot of fancy design elements. But I think most of us are able to take these basics and run wild. 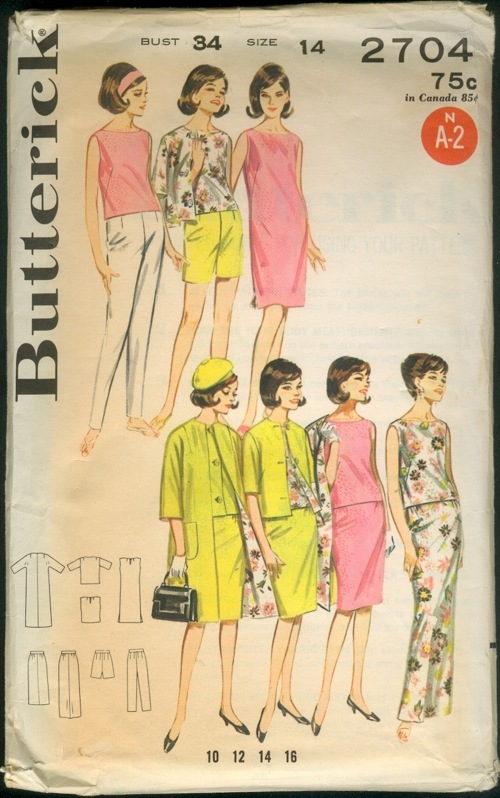 Plus, I find it quite vexing as it sometimes seems you expected to pay a great deal for a pattern with "variations" like version a: trim and pockets, version b: trim only, version c: pockets only, a la Simplicity 1776. Unfortunately, I believe that after the lofty heights of The Go Everywhere 70s Man the quality of these patterns, like general big-4 quality, has been compromised in the more recent decades, leaving with pretty dull offerings in the 1990s and today. Still with the pink florals, minus all the detail. Also I do not believe you could make all these items in 4 hours even though they are mostly shapeless. * I did find this Woman's Day pattern from the 1940s. 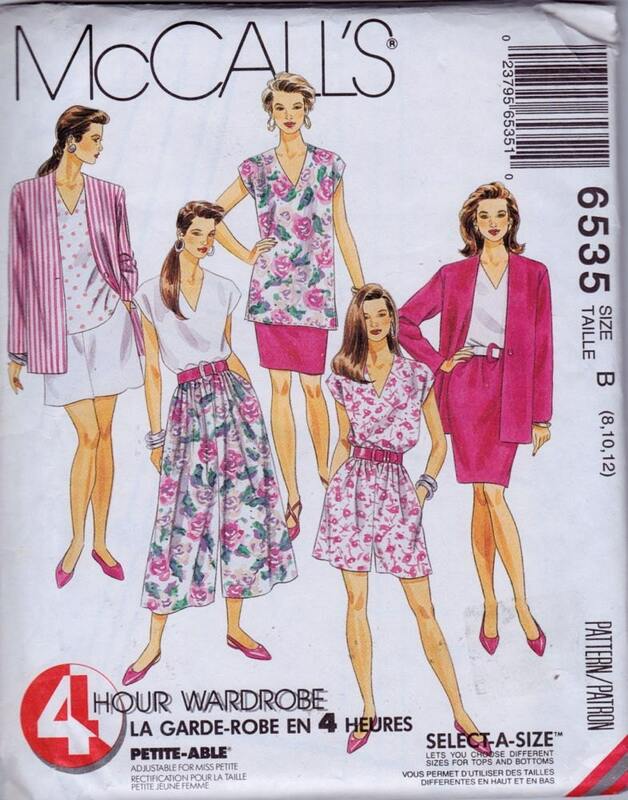 I can't determine whether it is the seller or the pattern itself that is calling it a "One Pattern Wardrobe." 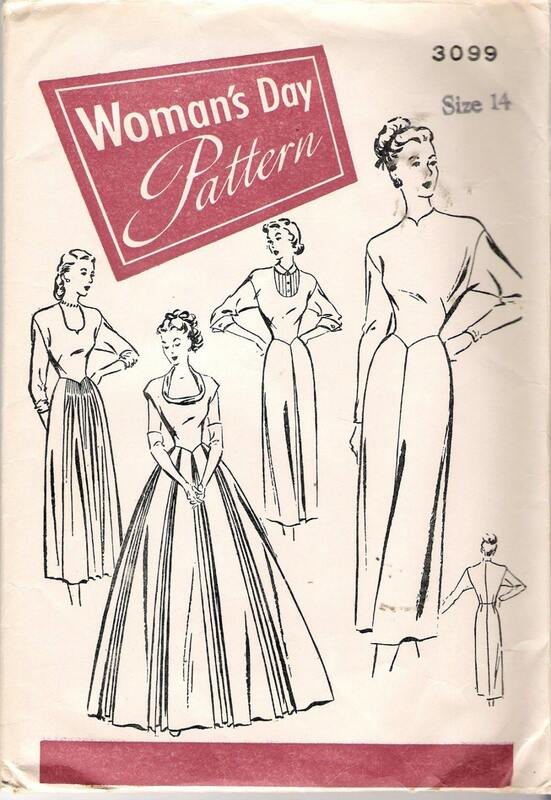 I would consider this pattern "dress variations" rather than a wardrobe, but perhaps variations on a few dresses would be what a woman's wardrobe mainly consisted of in the 1940s. 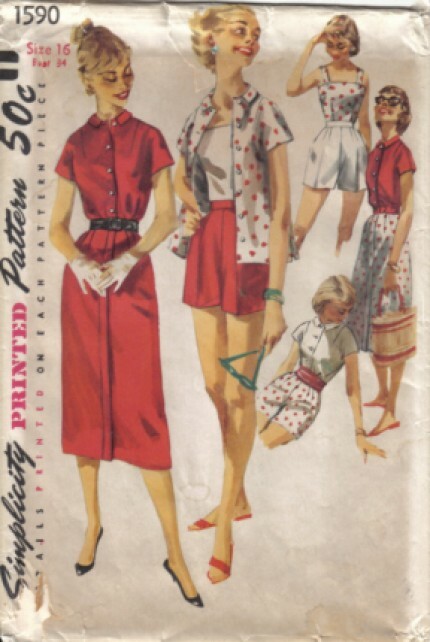 I am much less knowledgeable in 40s-era fashions than many of our retro-sewing friends, so perhaps they can shed some light here? With my two new patterns and increased pants making ability, I have decided to challenge myself to make ALL the wardrobe items from my weekender patterns! I think the patterns above will help me fill holes in my wardrobe, just as originally intended. How color-coordinated I will be remains to be seen, but as someone who aspires to a vaguely-retro 1960s-ish daily look but most often defaults to jeans, I do think these mix and match separates are quite practical! Do you have holes in your wardrobe? 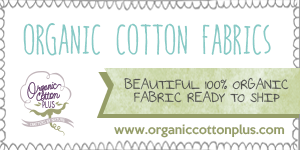 Do you have irrational sewing fears, like pants? Do you need to start prepping for Me Made May 2014 (ahhh!!)? Do you LOVE color coordination? Would you like to join me in completing a weekender? If you answered YES to the above questions and have in your possession (or your etsy favorites) a weekender pattern, I would love for you to join me in becoming a Weekender Warrior of sorts and sewing a whole weekender! We all know there are a ton of sewing challenges every year. For this reason, I intend for this one to be very casual. This is not a sewalong--pick whatever weekender you like and sew at your own pace. 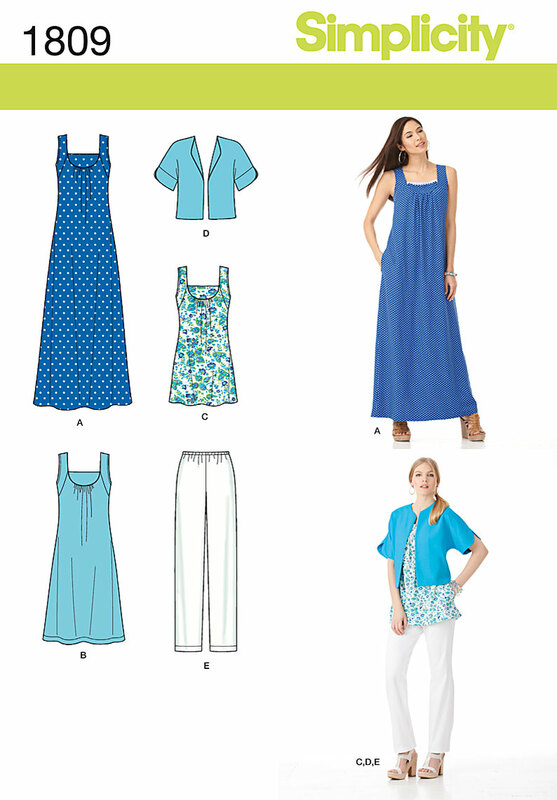 go on a weekend vacation looking fantastic in your new wardrobe, perhaps? Although there is no deadline, I'd like to finish mine before Me-Made May 2014 for practicality's sake. I will be sharing my Weekender makes tagged "Weekender Wardrobe" and compiling them as a new page. I might also be posting on related topics-- I have a history of weekenders coming up. Anyone else who finishes their weekender will receive a small prize. Prize to be determined! Let me know in the comments if you would like to participate--I'd love to see your makes! Hello, 2008 me! Hello, barely visible dress! It was one of the first dresses I made all by myself, and I wasn't really thinking about rewearability...this was back when the terms cake and frosting only applied to baked goods. It is navy poly satin and loooong (for me) and altogether too fancy for me to wear very often. It has languished in my closet ever since. UNTIL NOW. "What shall I wear to my graduate program holiday party?" I thought. I briefly considered wearing something totally different than what I wore last year (a navy blue dress) and decided against it. Navy blue it is! spins! i wish i had a crinoline/were brave enough to wear it in public. Good news: this dress still fits and hasn't fallen apart despite the total lack of finishing. Plus, it requires no ironing since it is made out of plastic. Inside peek! I find the inside of this dress endearing. This is what a garment looks like when you just follow the instructions and don't try to "improve" it. Pinked seams! Zig zags! How retro! Is 2008 retro? For my rewearing, I didn't alter it at all. I paired it with a sash in the fabric that we originally bought for it rather than the silk j. crew sash I wore the first time (the lighter blue that you can sort of see). Aaaaand actually I lied when I said I made it by myself up there I guess, because I know my mom made the sash, at least. I have no memory of finishing that much poly chiffon. Also, a note on this pattern: the cummerbund seemed impossibly tiny. That's why I ended up with this gathered sash rather than a real cummerbund. 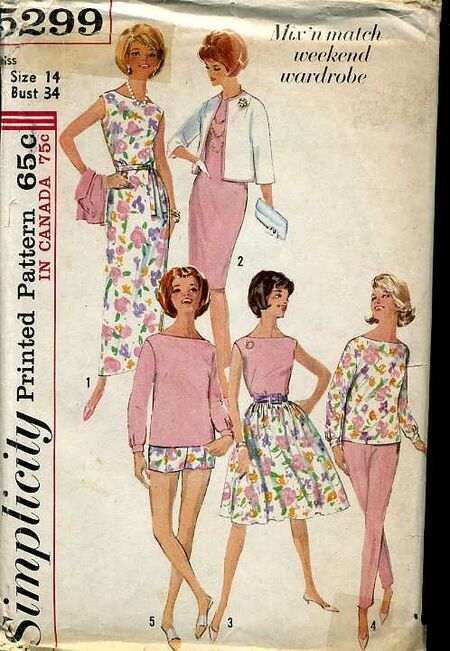 Has anyone else made Simplicity 1795? It is a very easy make with the kimono sleeves, and its a very classic shape. Did you run into the same cummerbund issue, or did I misread my pattern pieces? 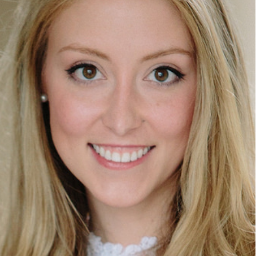 what has miss allie been up to? Hello! I am back from my extended thesis-writing hiatus. I read a lot of books and typed a lot of words and didn't do a whole lot of sewing. This was for a banned books costume party. 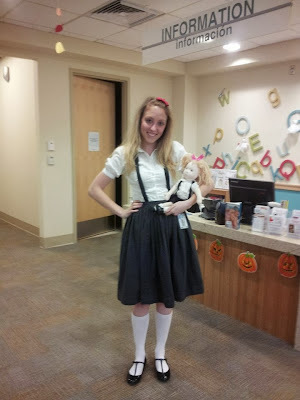 I will purchase a burda online pattern* for anyone who can recognize the character I am dressed as! Bonus internet points for the book and author! *seriously I will. I will spend up to $10 and email you the crazy print-and-tape pattern of your choice. I think this is possible. This contest is not open to my mom, sorry mom. Update! 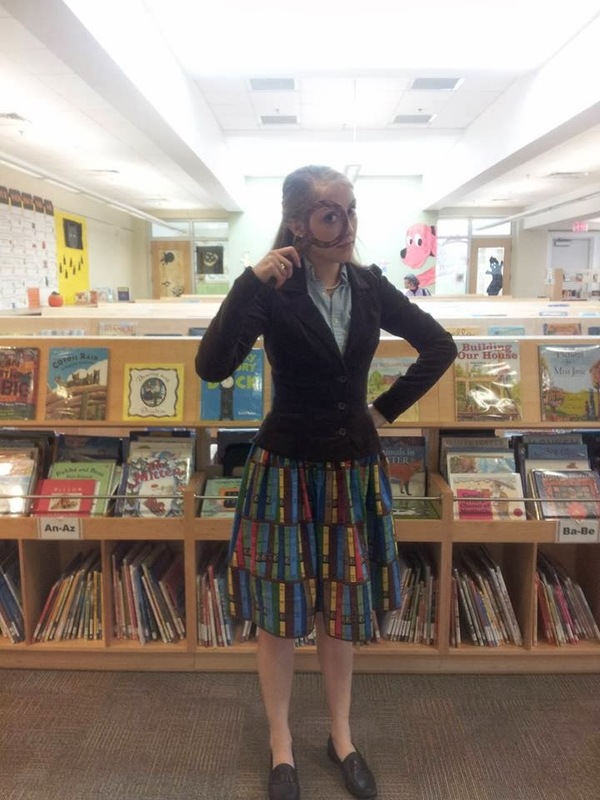 Ashley at Craft Sanctuary guessed correctly that I am the girl from The Green Ribbon, by Alvin Schwartz, whose book "Scary Stories to Tell in the Dark" was the MOST banned book 1990-1999! And one in grey flannel (technically I made this ages ago, from the bottom half of this dress/saga), which I paired with some stuff I already had in my closet for a rawther good Eloise costume. 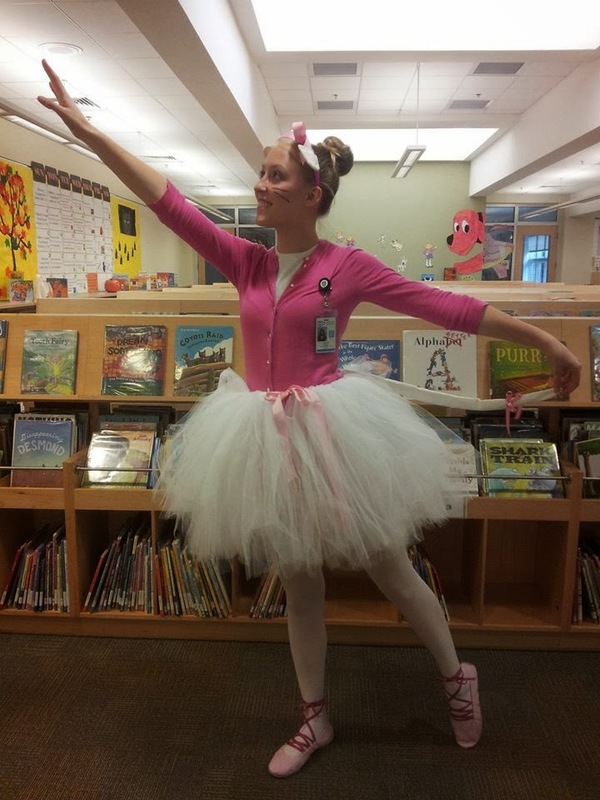 I also pulled out my Angelina Ballerina tutu/tail and ears from last year's Halloween party . I would wear this every day. So there you have it! I have been sewing, but only costumes. Any guesses who I am dressed as wrapped up in my sheet? I have another post planned(!! ), so keep your eyes on your feed readers!